I love me some skincare, mostly because I really need it. Having eczema makes it hard to just buy something and use it. I also used to have extremely dry skin, which is now much better. I have a normal skin type now, but it’s still prone to dryness in the winter. Knowing how hard it can be to find winter skincare for dry skin, I’ve put together a list of products that work for me. I hope one or more of these products will help you if you have dry skin too, so let’s go! 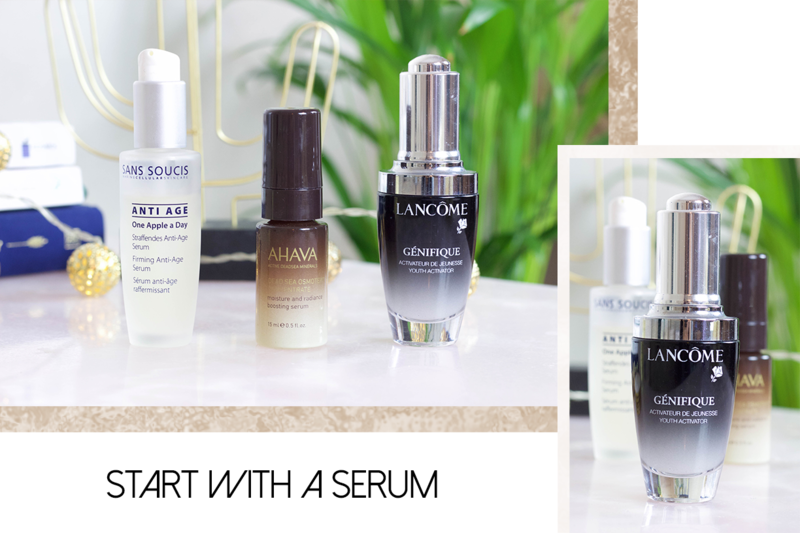 Let’s start with serums, the base of your winter skincare routine. 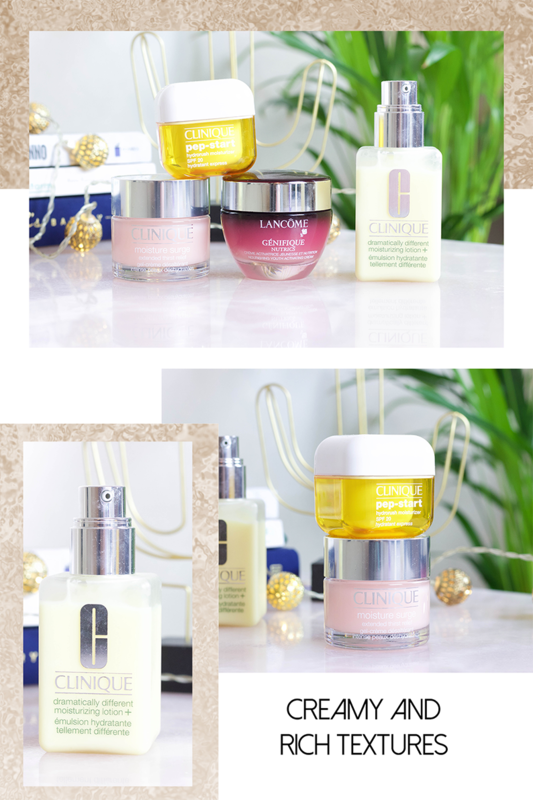 My all-time favorite is the Lancôme Génifique serum. I can use this even when I have active eczema. It helps to lock in moisture and calming skincare ingredients. Another serum I really like is the Ahava Dead sea osmoter concentrate which gives my dry skin a nice healthy glow. It really gives my skin a good boost. The serum I am currently using is the One apple a day serum by Sans Soucis. A nice and easy to use serum which helps a dull skin to look dewy and healthy again. I also have some really good heavy duty day creams you will love. My favorite one is the Dramatically different moisturizing lotion by Clinique, it’s amazing! Be prepared, because I have more favorites by Clinique. The Moisture surge has been my favorite for at least eight years. It’s so soft and gentle for the skin, I could use this one while having eczema whenever I wanted. The last day cream by Clinique is the Pep Start hydrorush moisturizer. This day cream is perfect for your winter skincare routine, because it’s so rich and creamy. And the final cream is the Lancôme Génifique Nutrics cream, one of my favorites! And yes, I also have some nice cleanser you can use for your dry skin. Lord knows that some cleansers will dry your skin out even more. 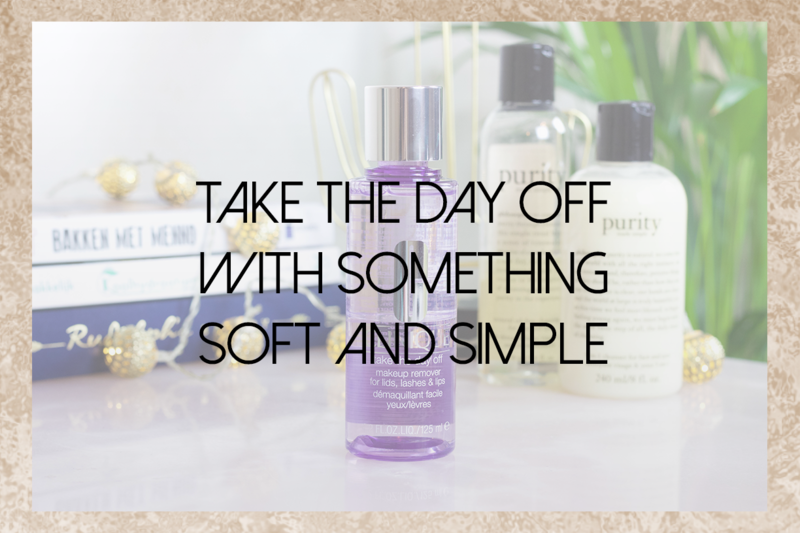 The Clinique Take the day off cleanser will not. I also like the Philosophy Purity made simple one step cleanser and the Cleansing oil for face and eyes. These products are very soft to the skin and do a reasonable job at cleansing. If you want something extra, you could definitely use the Garnier Skin naturals face wipes. I love these wipes for gently cleansing my skin. Boom, that’s my big list of winter skincare for dry skin. I hope this helps you out, let me know! P.S. Follow me on Bloglovin for more beauty tips.